Need to trim squares into triangles? 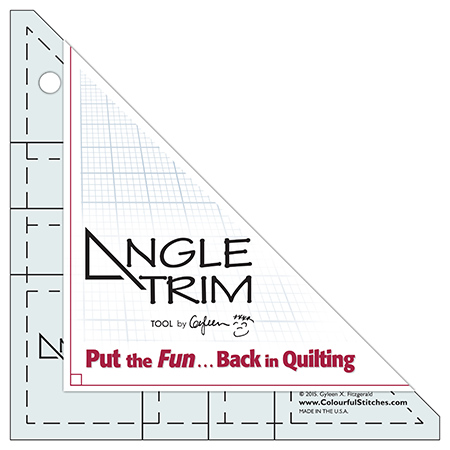 The Angle Trim tool is just what's need to trim pieced squares, squares or strips into accurate triangles. Works for 2 1/2" to 6 1/2" squares or piecing. Great companion to Bricks, Cobblestones and Pebbles Book.